CHRISTIANS TOGETHER FOR CHESTERFIELD: TWAM - CHECK YOUR SHED! TWAM - CHECK YOUR SHED! 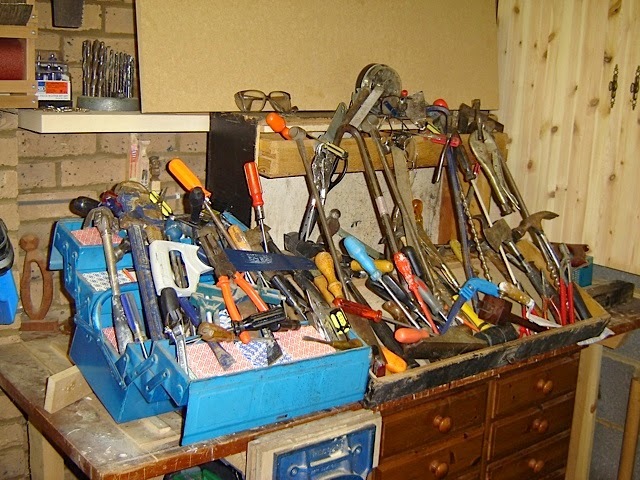 Tools with a Mission is a Christian initiative to recycle unused or disgarded tools and put them to use in those parts of the world where such tools are not readily available and will enable people to make a new start in earning a living. A few people from St Thomas', Brampton and Loundsley Green have set up a reception area for such tools in Chesterfield. We would like to ask other people to join with us in this venture. So, if you have any tools that you either no longer need or want would you be willing to donate them? Would you be prepared to be the link person at your church? All types of hand tools needed: carpentry, motor mechanics, builders, electrician, plumbing, engineering, lathes, bench and band saws, electrical power tools, drills, sanders, planers, sewing machines, knitting machines, laptops,flat screen computers, sewing and craft items, gardenforks,spades,hoes, rakes, sledge hammers, pick axes, educational text books, bicycles, manual typewriters, motor lawnmowers, strimmers, chainsaws. ANYONE IN NEED OF A KEYBOARD OR ORGAN?